This semester, I am including, or trying to include student's perspective on the week. We are in the final weeks of the course and I wanted to know what the students learned. I asked a few students to send me a document that defined what they learned over the last eight months. It was a very open question and I told them it did not have to be just content or skills. The question was simply, what did you learn this year? Here was the result. 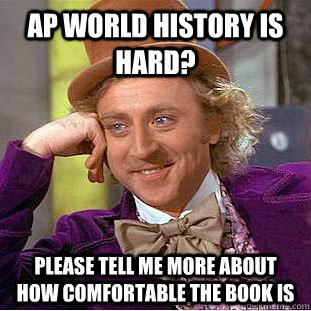 Over the course of this school year, I’ve learned a lot from taking AP World History. I walked in on day one of my sophomore year into this class just like any other class, except for the fact that I was a little intimidated by the things I’ve heard about the course. After taking it, I learned a lot about history (obviously), as well as a lot outside of history itself, such as myself, the public education system, and what it truly means to learn. One of, if not, the largest contributing factors to success in this class for me and a lot of others have been the way the class has been taught. Up to date, I’ve really loved the checklist system. Using this system has actually kept me on track with homework while simultaneously giving me the opportunity to work at my own speed on the content of each lesson. This is something I know a lot of people have struggled with, myself included, more specifically last year in AP Human Geography. Reading and taking notes in a given packet never worked as well as this checklist system, as it didn’t engage me, took a lot of time and patience, and just felt like a drag to accomplish. While some may say to stop complaining because ‘that’s just how school works’, I do agree. Regardless, I also think these things can be accomplished in different, possibly more effective ways. As students, we’ve been enrolled in this game where we score points for submitting things and regurgitating information. How we do may determine the course of our lives. With this, we’ve had the idea of how school ‘should’ and/or is run engraved into our minds for as long as we’ve been playing. The checklist system makes it feel like everything I’d need to know is given right in front of me, quite possibly because it is (for the most part, content-wise). What does any of this have anything to do with what I’ve learned this year? Simple- I’ve learned what system of education works well for me, and learned what I have to do in order to be successful both without this checklist system and with this system by challenging myself at my own speed rather than faintly paying attention in class. This hands-on system further engages me with my work and material, at my own speed. I’ve grown to really like this system, which has given me the chance to actually learn how and why Islam was so powerful internationally between 600-1450 BCE, as well as why that is no longer the case. 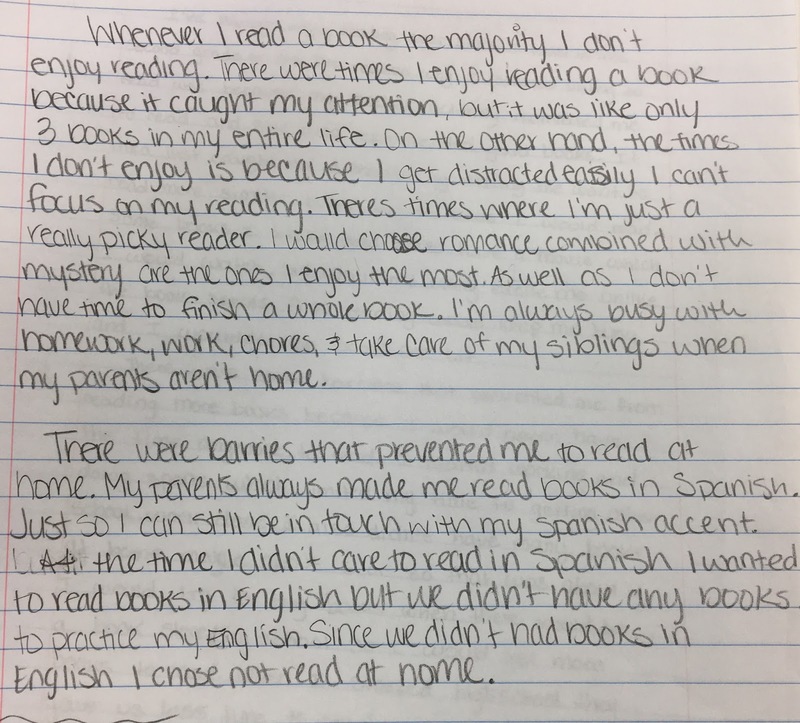 While this may sound wonderful, I’ve noticed that a lot of students, myself included, have struggled with writing. More specifically, a lot of us have struggled with how we implement given or known information and context into short essays, document-based questions, and short-answer questions. This isn’t something at fault to an educator, rather a difficult concept by nature. If there is something I’d like to see improved in this course, it would be how writing, or specifically this element of writing, is taught. Again, this isn’t something taught in a sub-par manner, rather a difficult component of this course. Improving upon this would further our knowledge while bringing students up to that next level, and very likely being more successful in the class as well as on the AP Test. Many think that much of the information thrown at us in this course is or will be irrelevant as soon as the bell rings it is final time this school year, which in my opinion is a slightly oblivious thought to have. While, yes, a chunk of the information won’t be necessary for anything of vast importance to us in the future, a fair majority of the information gives us a better understanding of the world we live in and why it is the way it is today by giving us context to its current events. This, in an ever-changing world, is valuable to have for anyone who tries to understand what is going on within it in relation to economics, politics, and conflicts which often affect the general population. That’s kind of a far-fetched thought for some, but at the same time may be something as simple as asking “why have gas prices gone up recently?” Oh right, there’s conflict taking place, in those oil-rich nations on that side of the world. Oh right, those conflicts have been taking place for long before anyone reading this has been around. Thanks, world history. Overall, yes, I have learned that the Persians used satraps way back when. But besides this, I’ve learned to open my eyes and actually discover what it truly means to learn and understand something, as well as open my eyes to the world around me. Truly learning the given information is what lets me utilize and apply it to our world today, what’s going on around me, and why. I’m not sure I would have retained the information from this course as well as I have if I used anything other than this unique checklist system, which I’m interested to see how this system will be used in the future, possibly in other courses, possibly in other schools. This system could be useful for a lot of different students as we continue to play the education game. While we all grew up knowing it is important to learn, have we all truly understood what it means to learn? Is this something that has been stressed enough? Another comment, "Up to date, I’ve really loved the checklist system. 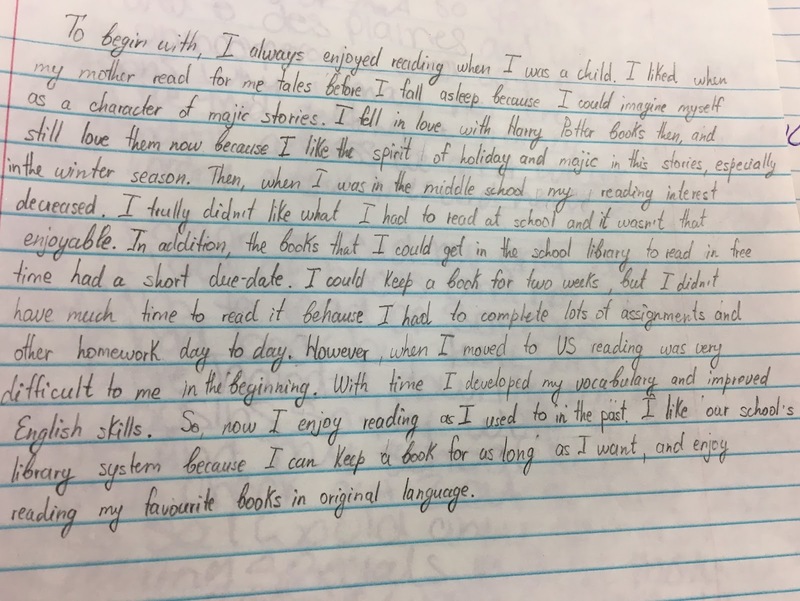 Using this system has actually kept me on track with homework while simultaneously giving me the opportunity to work at my own speed on the content of each lesson." 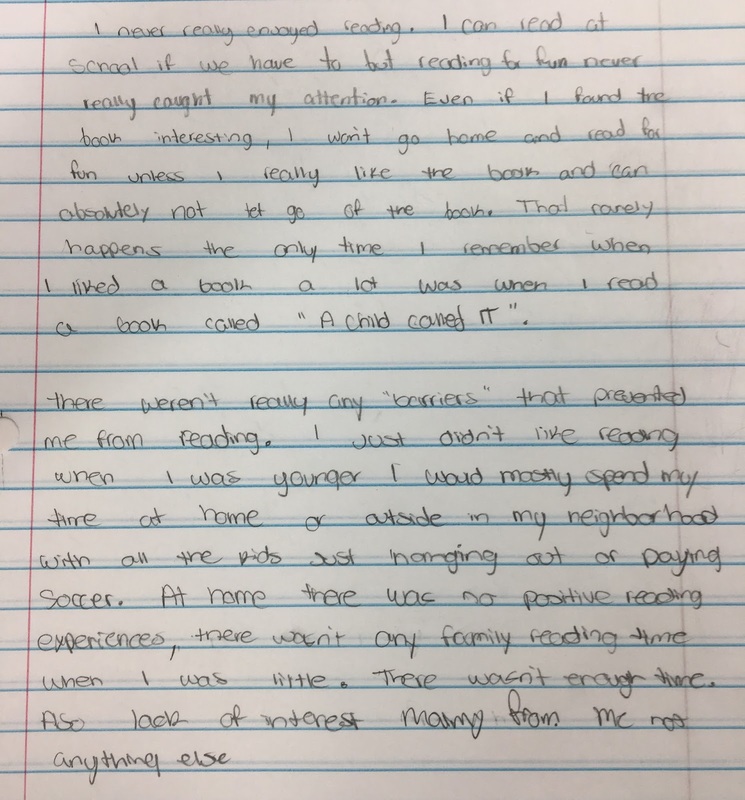 One reason I went to the checklist system, you can read about the process here, was for the students to work at their own pace. The class is very rigid and I have in the past been stricter about the "homework". I appreciate that he zeroed in on the openness of the content checklists. 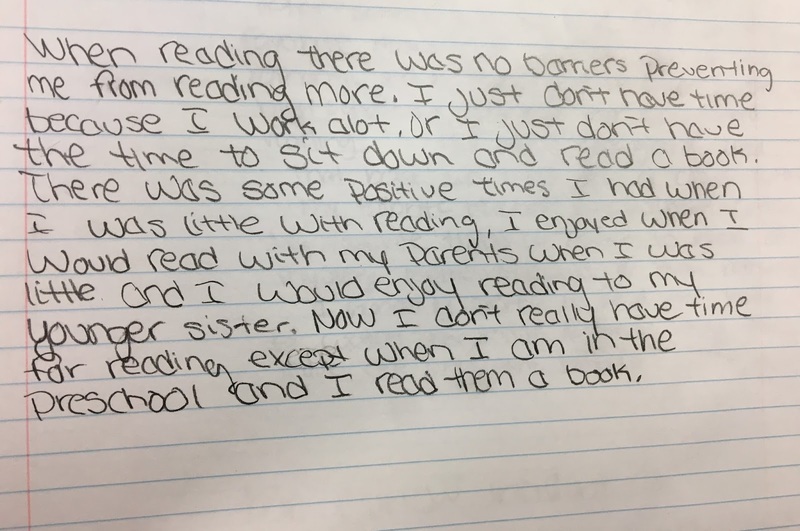 I feel that I am still fairly linear in my approach, but to hear students say it is working is good. David wrote, "Reading and taking notes in a given packet never worked as well as this checklist system, as it didn’t engage me, took a lot of time and patience, and just felt like a drag to accomplish." I am not sure this is a by-product of my class or just his reflective nature. 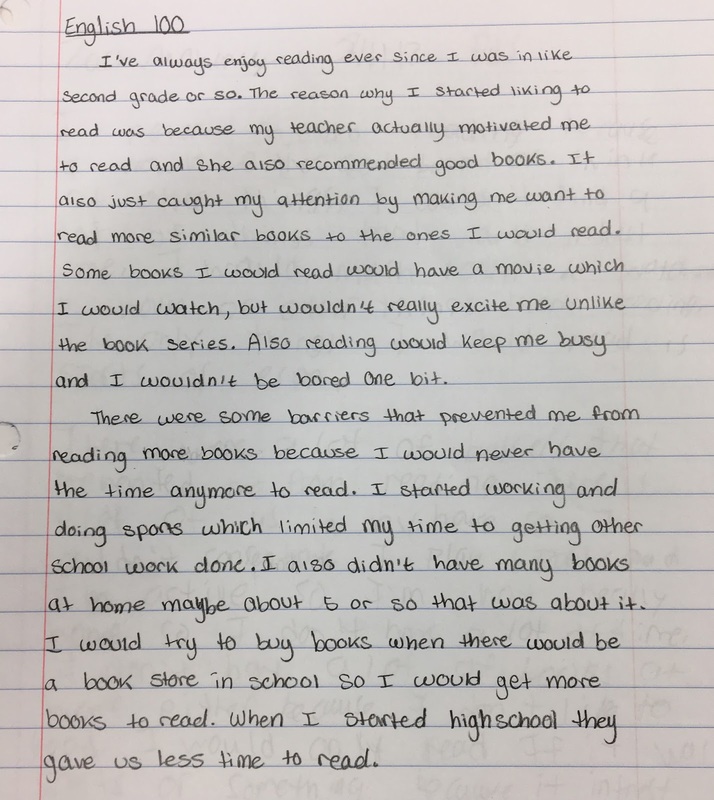 I wish that I could have students be this reflective of what works for them. I need to work on reflection being a natural part of the class. Students accessing material they know is very difficult. "More specifically, a lot of us have struggled with how we implement given or known information and context into short essays, document-based questions, and short-answer questions." It is hard to be able to transfer information "learned" in one context to another. Doing this through writing is especially difficult. If there is something I’d like to see improved in this course, it would be how writing, or specifically this element of writing, is taught. This is a constant focus and very difficult to do. I have been focusing on it the whole year and it is still a struggle. I have been trying to get kids to find their voice and what resonates with them in history. However, it is a standardized course and difficult to do. Truly learning the given information is what lets me utilize and apply it to our world today, what’s going on around me, and why. A great takeaway and I wish I could have every student realize this or have the internal drive to understand it. As a whole, the systems of school are what can help or inhibit learning. I think the focus is what learning really is and have a cohesive definition of it to move forward in making changes to the "system." I love his ideas and how open he was in his reflection. I value his honesty and wish I had that with all of my students. Something to hope for in the future. You can read week thirty-four here. What do we mean when we say "kids are coming in lower and lower" on standardized tests? In reading? In writing? 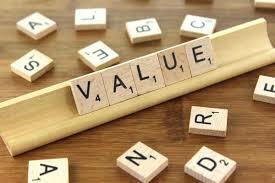 What does that mean as a value judgment on another person? 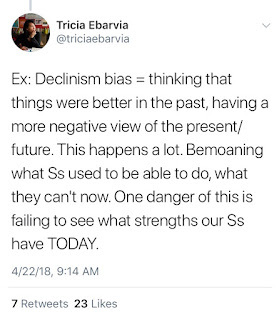 Do we believe all students can succeed if we view them as "lower than" someone who came in the past? Do we hold implicit biases about students or groups? Further, do students internalize this in their beliefs about themselves? Have societal expectations changed? Are our students, for example, taking on more responsibilities? Are they working more hours? Are they taking on more AP classes? More sports and activities? Would we want our own children--if we have children--to be viewed as the "low kid" or one of "those kids?" And if the answer to that question is, "My child wouldn't be the 'low kid,'" what does that mean for how we view our students? 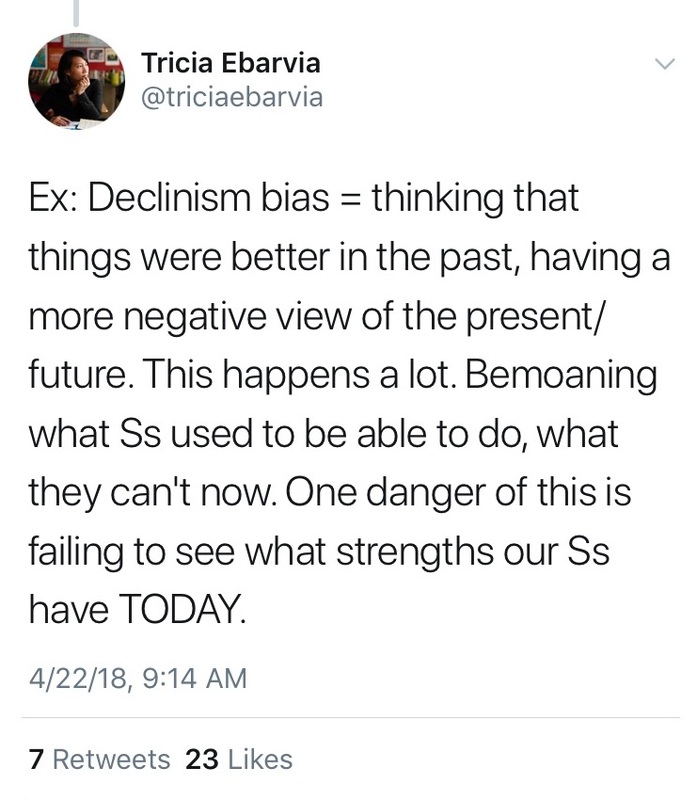 What if we instead celebrated our students' strengths, as @triciaebarvia says in her tweet--and others have pointed out? How can we combat deficit thinking about our students: defining them by a perceived what they are not rather than who they are and who they want to be? As we prepare our curriculum, we set goals of wanting our students to have agency and take ownership and embrace their learning. Let's reflect on our own beliefs and be sure our mindsets are framed in such a way to create and support those conditions in our classroom! Another way to do this is to be sure to follow people on Twitter and read resources by others who have been explaining their experiences on this for some time. Related: I'm currently reading Being the Change by Sara K. Ahmed and will have more to share in another post next week! This semester, I am including, or trying to include student's perspective on the week. We are in the final weeks of the course and I wanted to know what the students learned. I asked a few students to send me a document that defined what they learned over the last eight months. It was a very open question and I told them it did not have to be just content or skills. Here was one of the responses. I didn't really know what to expect with this course because I'd heard so many different takes on it from the juniors and seniors I know who'd taken it - some people said it was the hardest social science, some said it was the easiest. At the end of my year in the class, I have a couple observations and general feelings. First of all, I think the structure of the general course is really easy to understand. There were a lot of ways the grand scheme of world history was broken down into a lot of patterns which only really began to come together at the end. It's incredibly difficult to connect everything after learning it in fragmented bits, but I don't know if there's really a shortcut to putting the pieces together. I had my own method with filling out blank worksheets that helped me a ton, but I know people that do pretty well even without this. As for the structure of the class itself, I think the checklists were more efficient than any giant textbook I'd have to carry around. Being someone who lives for routine and organization, I appreciated the consistency the Thursday checklists. As much as I didn't ever want to do them, I have to admit that it's probably tons better than annotating a 10-page packet or trying to translate a textbook into comprehensible content. I also think the way the checklists were structured well in that they threw in a lot of reviews (annoying, but effective). A lot of people complained that the excessive review was too difficult for a weekly thing, but I personally didn't mind it because it helped so much. For the first semester final, studying was so much easier than it was last year for APHG because the checklists incorporated continuous review rather than me teaching myself all the content over again. 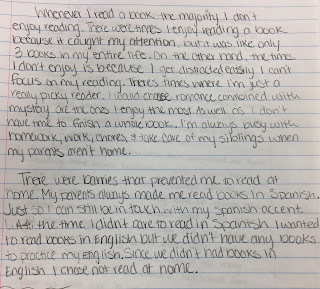 A big component of this class was an emphasis on writing. 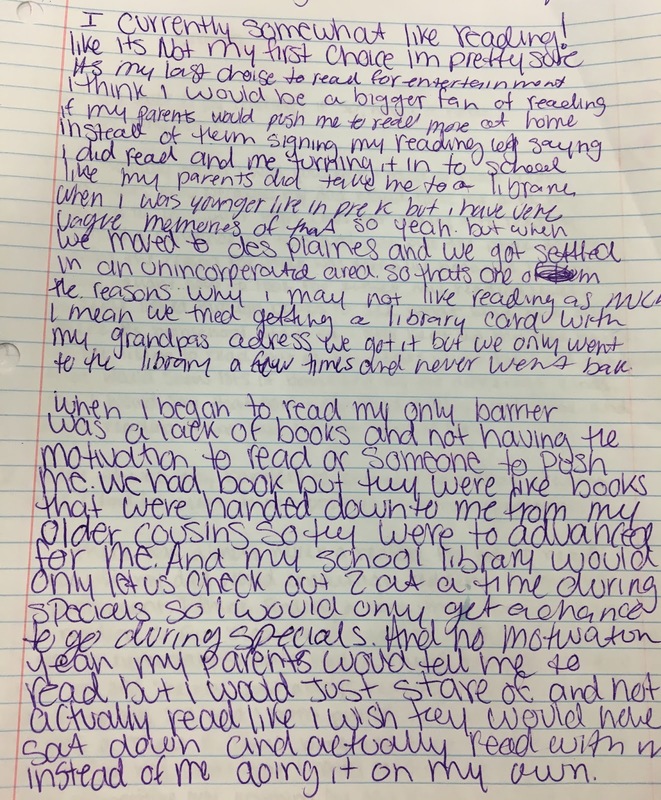 Some of the other classes started learning how to write DBQs and short answers after the entirety of first semester, and that just seems crazy to me. Considering things can still be confusing and we've been working on them all year, I can't imagine what it'd be like learning them so late. 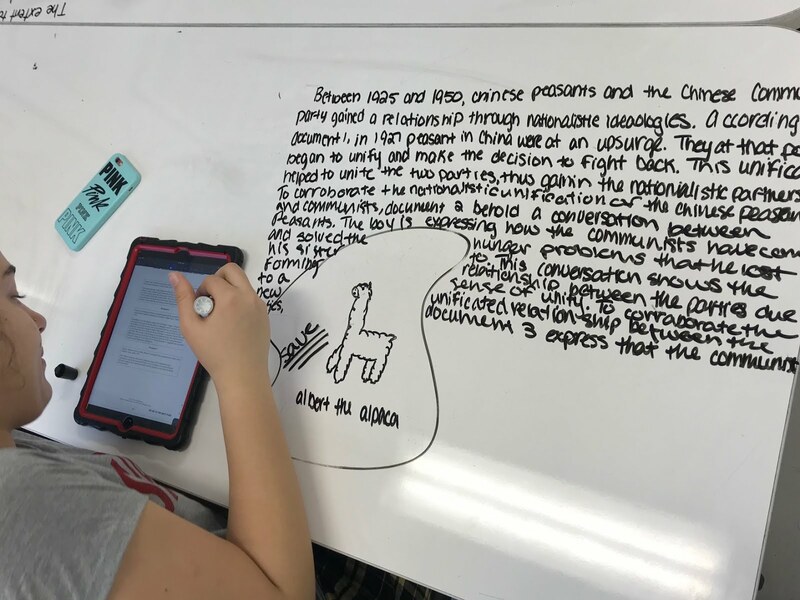 I think the idea of adding in a component of the DBQ every unit was a great idea because before you know it, you can do the whole thing and know how it all fits together. 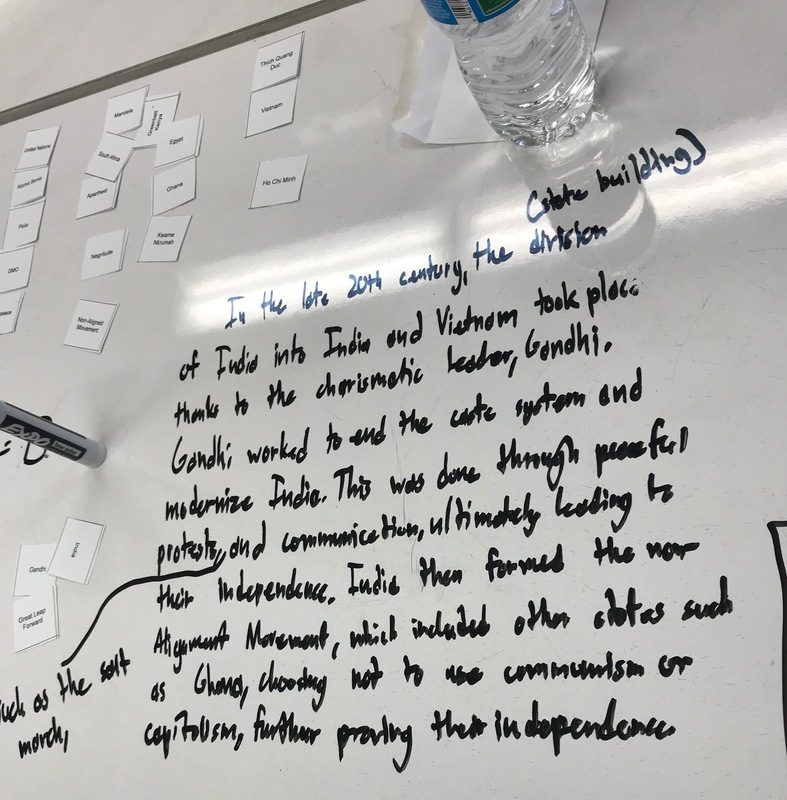 Obviously, there were times that I was pretty confused about the format, but after doing a lot of examples in class and analyzing them, I'm comfortable with the process. Honestly, I didn't really enjoy writing with partners because it didn't exactly portray what I did or didn't know. I either felt like I was carrying the group or that I was “cheating” because I wouldn't have known the content by myself. 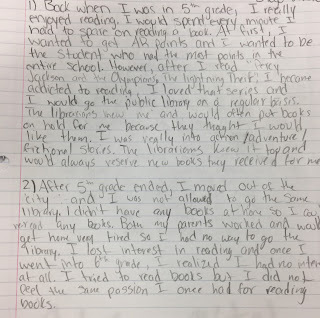 The best progress for me came when we had to write individually and get direct feedback from the teacher because it was brutally honest in what you could and couldn't do. Overall, I think the amount of planning and thought put into this class really shows and it's been enjoyable for me despite the work required. 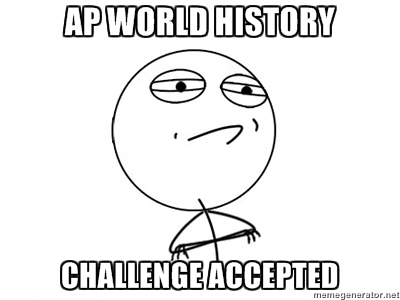 If I were to change something about the AP course I would probably change a part of the checklist. Sometimes I feel that the review for each checklist is intimidating because of the timer it has, I used to rush through it to be able to finish. If I redid this course I would hope to get more practice on stimulus tests and have more opportunities to help improve my grade. Otherwise having a good mindset about AP helped me improve in this class and gain more interest in taking the course. I didn't know what to expect with their responses. I purposefully did not want to skew their reflection so I intentionally made the question very open-ended. 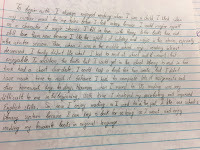 Because of that openness, I have a few other student reflections that go into different directions. As for this week's reflection, it is interesting to note that "learning" was more about school and the nature of systematizing learning instead of truly what they learned. For example, how the checklists were orientated or the group work with writing. 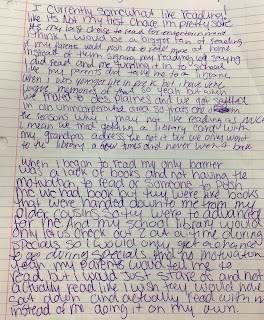 Furthermore, the student addressed what "worked" for them. I love that the students were aware enough of their workflow and how best to tackle the tasks needed to be completed. 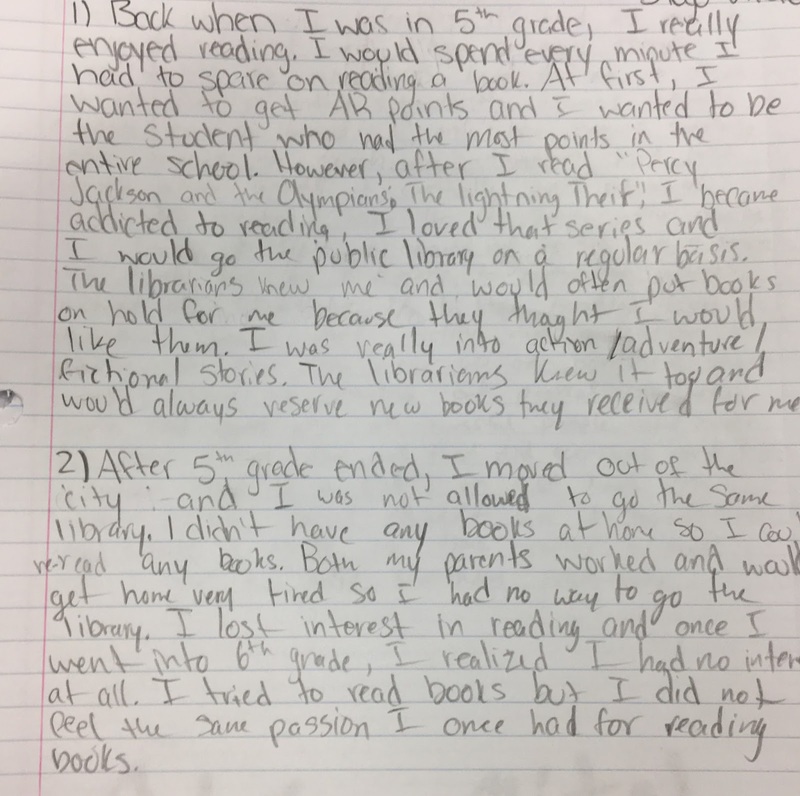 Even the student who had a different opinion of the checklists wrote more about the structures in place rather than the learning. I think students are cued into being compliant with tasks rather than what they are learning or why. But maybe the "doing" is how they perceive learning. Cal Newport has this quote from his book, Deep Work, that resonates with me and what I am thinking. I am not sure the students know what is valuable to them. I think they want to be connected and have validation. Because of this, they resort back to industrial metrics of visibility and compliance. They want to show me that they have "done" things and put in the effort and the writing on a daily basis and checklists do that. I am not sure how to completely remove this thought or get at the value of learning rather than compliance. A lot of what they are commenting on is related to the way we do school. I want to get at the point where the students are valuing the conversations, the new understandings, or how to solve problems. I am rethinking my language, task needed to be completed, and the entire grade book. I need to communicate more with the reasoning behind everything and allow for more student agency and inquiry-based learning. I need to get the students to find their voice in the process. You can read week Thirty-three here. This week I am going to take a break from the usual format. The quarter just ended and I have only a few weeks left in the semester. At this point, I wanted to get a feel for how the students felt they were progressing. I was inspired by Jesse Stommel's post on how he has not graded in the past seventeen years. You can read his post here. I feel that I am in a similar mindset as Jesse in regards to grades. 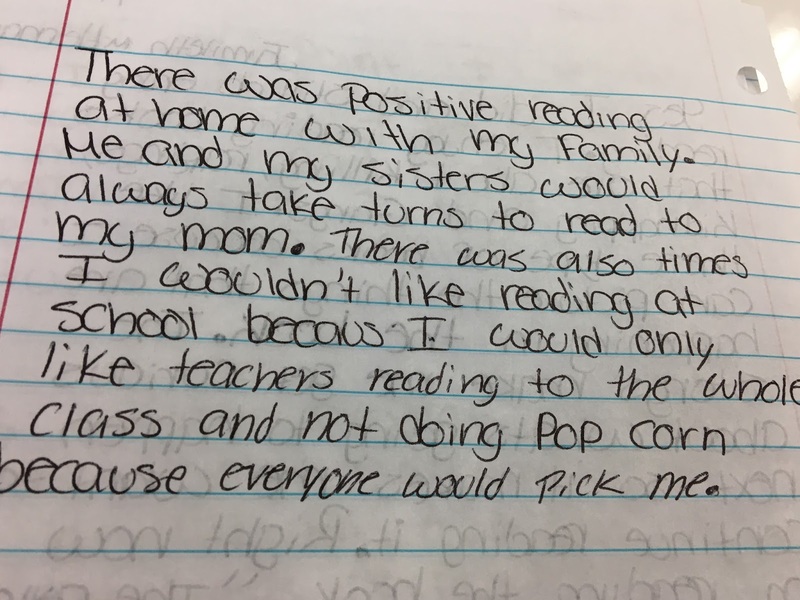 I have written about how grades have hurt some of my student's mentality. 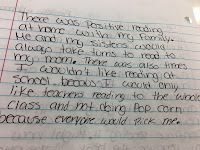 The grade changed the narrative of course for them and altered their perception of their progress. 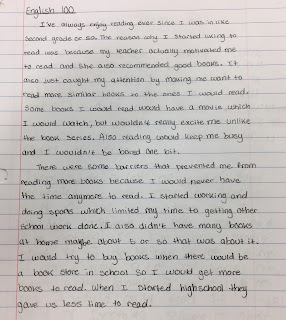 Using grades as a baseline and to determine their perception of what went into a grade, I wanted to know what they felt was going well for them and what they valued as a student. To gather data, I posted a Google form that asked the students to state what their current grade is, what grade they felt they have earned, and explain why they earned the grade they selected. I was amazed at the honesty in their responses. There were quite a few students who gave themselves a lower score and some of their responses really made me think about the year. So far this semester I've been very productive with my checklists and participating during class, which I think in particular has been a strength that has helped me understand some confusing topics throughout history. Occasionally I slack off, but I don't think I'm alone in that aspect. Currently, my grade reflects my assessment scores, which I know I can improve during our next testing. Helping others with their studies also bolsters my understanding of many of the subjects, simply because I go through once more whatever topic is at hand. I believe that at times I can focus a bit better, but as long as I continue being successful with my checklists and participating in class, I will be able to earn and prove why I deserve an A in this class. I feel that Pete's assessment of his semester is what a teacher would hope for. He has a good sense of what he needs to work on and has a few minor suggestions for himself. I love how he blends traditional metrics of success while connecting his learning to helping others. I have been questioning how to make the checklists a lot easier. Some of the content reviews in the checklists get long and most of it very specific. The older checklists make it so the students can't see the forest for the trees. I need to come up with a different plan to get the students to keep going back to the older content. I want to make changes to the process because the students feel that I don't think they put in the effort when I knew they do! Schoology enables me to I see how long they spend on the quizzes and some of them spend an enormous amount of time on each quiz. I want to give them successful ways of moving forward while spending less time doing it. Also, Rabia is not the only student to highlight that they are a bad test taker. There is a lot of pressure put on these students centered around the tests. Some of that anxiety translates into poor performance on something they know and I know they can do. It frustrates me and I am constantly looking for ways to de-stress them. (Current grade D, stated he has earned a C) Checklists were unfinished. Did not ask for help. Other classes to worry about. Not the most intelligent student. Stress. Sports. Other classes add on. Hard to stay on track after other work. Tired. Sleep schedule ruined. Sleep. Hungry. Need more time in a day. More studying. I love his honesty. I agree with him that shouldn't have a D. He has a lot of other interests outside of AP and he does complete almost everything I ask him. He needs sleep. When he is not too tired, he is great in class. 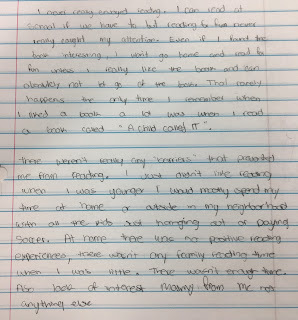 His writing has improved tremendously this year and he is able to make connections to material across time. I need to find a way to increase student agency in a course that is very rigid. I think I deserve a C because I don't try as hard as I should in and out of class. I feel like I'm behind on a lot of information that my classmates know and I don't know how to catch myself back up. I go into tests thinking I'll do poorly which leads me to not try very hard in the first place. I basically set myself up for failure because I've given up on my grade in the class. I got a two on the AP test last year so I'm not that worried about this year which also isn't a good mindset. I am disappointed in myself for her feelings. She is a great person and has had a few bumps in the road, which this course is very unforgiving in. 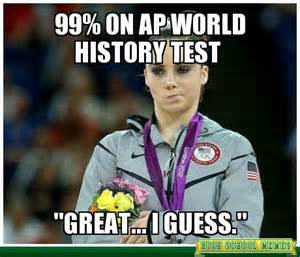 I hate how a score on a test makes someone feel inferior. 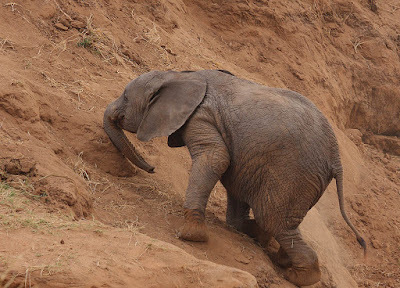 Currently, most people validate themselves with external metrics of success. I wish the pressure wasn't so intense and that grades were not that important. Furthermore, I wish that it could be more about learning and helping students to find their passion or interest. I know she has a lot to offer and does amazing work, yet the curent way of me doing things does not always reward that. I think I deserve a B because I contribute a lot of thoughts to class and although I'm not always right, I always bring forth my best effort and try as hard as I can. I also believe that while I try my best on tests and responses, I think class work and discussions should be counted for a grade as well even if it's small. I also know that I get distracted a lot but that doesn't really inhibit my learning experience because I usually get back to my work fast. I realize that I have to turn in my assignments on time but overall I do think that a B in the class would best reflect my efforts and general knowledge of the class. A recurring comment I read was how they are distracted. must be harping on them to stay attentive in class. I feel that the students are almost always on task and I am really proud of them. It is interesting to read how they want more class work to count in the grade book. I have never done that and I am not sure if it would get the effect they want. First, I need to frequently tell my students I care about their well being and how amazing they are. They put enormous amounts of time in accomplishing tasks for the course, I just want them to know that I see their time commitment. 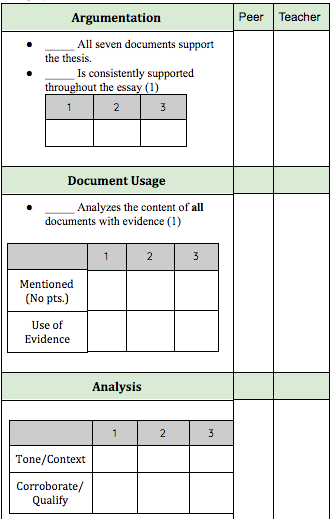 Next steps: I want to ask students more frequently to assess their ability. Start earlier in the year. Ideally, I like the idea of me not assigning the final grade, but rather the students doing it. Alsa, I am not there yet. I want students to be reflective and give me insight on what they need and what I am doing that creates conditions to help them. I am going to ask them the same question again before the semester ends and I hope they view themselves better. I was happy to read their insights and feedback on the process. I am glad I did it and looking forward to seeing what it will look like next year when I start the process earlier. How do we define learning at Elk Grove? Schools are centers of learning. Each day, the people who walk through the halls of Elk Grove learn, connect with others, and share. However, much of the learning that takes places goes undocumented; it is not document or shared. As a community, let us take a moment and connect with one such learning moment in hopes to share a common vision of learning and grow together.